Is there anything more Canadian than butter tarts made with pure maple syrup? I truly believe you will agree that these Ultimate Canadian Maple Butter Tarts are hard to beat. Maple is as much a part of the Canadian food scene as poutine, tourtière or Nanaimo Bars. This particular recipe is also included in an article pertaining specifically to maple for the Culinary Historians of Canada‘s CANADA 150 FOOD BLOG CHALLENGE. You can read all about it here. My Mom always made this family favourite with maple syrup and I have carried on that French Canadian tradition. The filling for this tart recipe is essentially a custard (similar to pecan pie filling or cheesecake). The addition of maple syrup is delightful and oh, so Canadian. 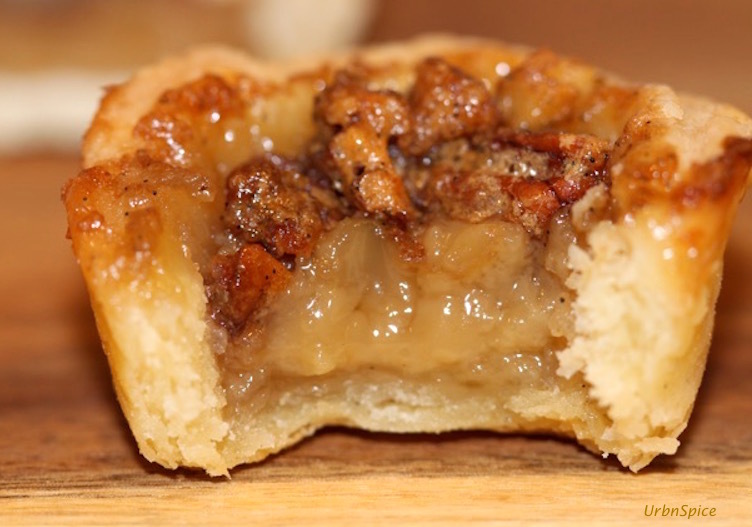 While many butter tart purists prefer their baked treats without embellishments, roasted pecans or walnuts and/or raisins are a great addition.